Determining the best tire for a customer ultimately comes down to knowing what application they choose to ride on; whether it be mud, sand, dirt or a combination. 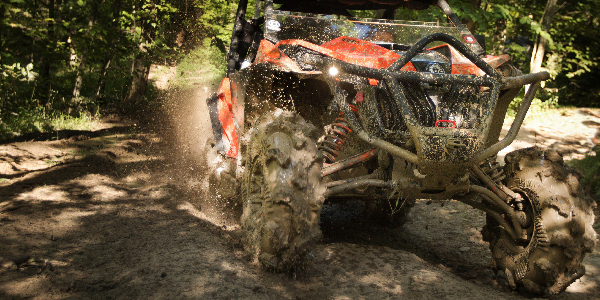 Knowing that tire tread is the factor between a rider sinking into a sand dune or accelerating out of a muddy trail can be the key to finalizing a tire sale. One would assume the rider will be geared up for a day of on the trail in wet, muddy conditions after a rainstorm or near a marsh, but are their tires prepared for the adventure? When selling mud tires, offer a tire with deep lugs and wide voids that can be one to two inches deep to push mud away from the tread. The tire’s spikes should be spaced out and the tire should be heavy in order to take on the wet terrain. The harder the terrain, the more lugs a rider will need on their tire to grip and make contact with different angles and grooves that come in rocky or hard terrain. Protecting the sidewall with extra lugs will help with durability and traction when shifting from a hard to a soft surface. For racers, lightweight tires that have more space between lugs help with contact on medium and hard terrains. The knobby lugs give the rider quick acceleration and control that gives the rider flexibility on a track. 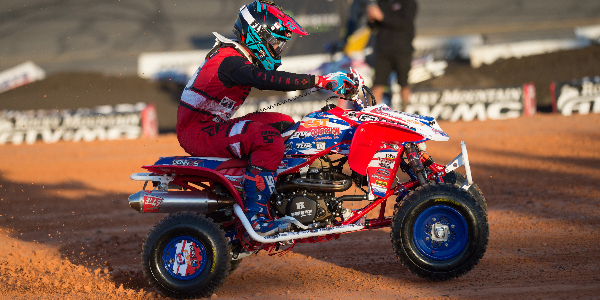 Depending on the track, an off-road racer’s terrain can determine what options to point to the customer; lightweight and low ply tires are best for motocross and more ply would be needed for a racer who were tackling an off-road course in the woods. Have you ever walked in boots on the beach? Your foot sinks right into the ground and it takes a lot longer to raise a foot to the next step as opposed to wearing flip flops that are light and graze the surface of the sand. The same idea goes for tires. 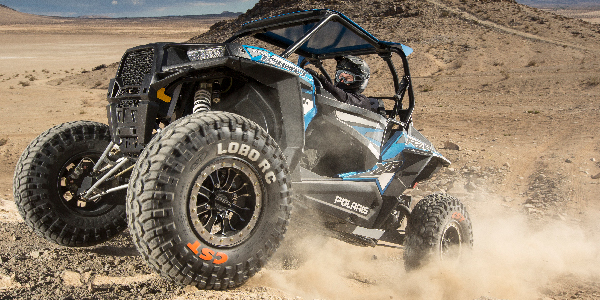 A lightweight tire is best when hitting the desert. 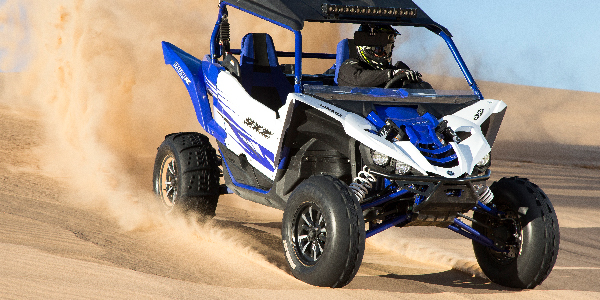 Sand tires stand out with their paddle tread that ribs horizontally across the tire to push the sand away from the tread, keeping the vehicle on top of the surface and propelling it forward. Identifying the riding terrain for a customer can improve tire sales at any dealership. What type of tread is moving your sales forward?